Well, it's that time again -- thought I'd update readers (and myself) on just how much money writing online at this website and others is bringing in, in terms of moola, that is. Gotta make sure I've got enough to give Uncle Sam come 4/15/2010 -- and I'm still playing around with the ideas my tax accountant dad is giving me to go use Intuit's Easy Pay Cycle to start paying my LLC's taxes through them, and therefore save on the $9,000 and more plunked down to the IRS in coming years. When he started trying to explain to me the tax benefits of choosing a fiscal year end for my business that's different from the calendar year end for my personal taxes, my brain began to wander like in Analytics class or something, so I figured I'd picked that studying up again in 2010. But anyway, thus far I've taken in $34,394.02 from January 1, 2009 - November 30, 2009. Someone commented that I make it seem like making money online is easy. That person probably hasn't read thru my archives of the blood, sweat, tears and time I've put in online. I'll bet you I work at least 70 hours per week on various websites, many times 7 days a week. So this is no game. If people really want to work hard and try and make money online they can with the Lord's favor and using their time and talents. Other people just find it not worthwhile because they can make money via other 9 to 5 jobs -- and there's nothing wrong with that. As long as we are where we are supposed to be in life. Oh yeah -- and the reason I've got a Zhu Zhu Pets pic in this post is because those suckers are selling out the ying-yang on Amazon. It's pretty incredible that you made that much though. Your blog is worth more than my day job. I bet you're in the same position as me, finding that there's simply not enough hours in a week. If only the finances weren't restricted to being measured on a monthly basis. However, internet marketing knows no boundaries and runs 24 hours per day, 7 days per week. If you don't update your site, someone else in another timezone will beat you to the top slot on Google! Good to see the updates. Dad is right about the tax strategy. Separate business taxes from personal taxes in the same way you don't co-mingle funds from your business income and personal income in one bank account. Oh my Paula! That is wonderful! Once again, congratulations! I remember your start in AC so I know you have put in a lot of work to get where you are. ~LexiB. Pray, I've been doing way more of that since I started blogging (August 2009)! I pray anyway, though. Girl, or shall I say, "Sister in Christ," I'm so glad I found your blog. God sure has given you talent and I thank you for sharing it. I just went and submitted my writing to Examiner.com (I put you down as the person who referred me), and not to long ago, I signed up to write for Associated Content. I plan on coming to your blog everyday until I have all of that stuff embeded in me as second nature. I have a blog: He Speaks To Me. It's mostly about the time that God and I share in conversation. I do host blog tours though. It gives me a chance to meet Godly writers and read good books at the same time. Simply Amazing. Congrats and keep on trying to make more $! Thanks, Angela -- I'm sure you'll get into Examiner -- and I'll try and write out a huge list of "50 Ways to Get More Hits on Examiner" by month's end. I see you wrote about Tiger Woods on your site, believe me -- writing about the latest Tiger Woods breaking news updates has been giving me all my tax money and then some! Praise the Lord of love. whoa...that's a lot of money! Useful tips, a long useful post. Using a catchy title is great, it should be simple and clear.A good advantage of long rich post is that, Long blog posts are much more likely to be linked to a lot more content and hence, a better chance that someone will find something on your page interesting enough that they want to share it with other people. Wow!! That's a lot! How long have you been earning online? My total would be $40 at the most :( But then I just started this year.Anyway, congratz! 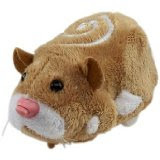 do you know that zhu zhu pet is a very hot product selling on ebay?